What is Included? What To Bring? What To Leave Behind? 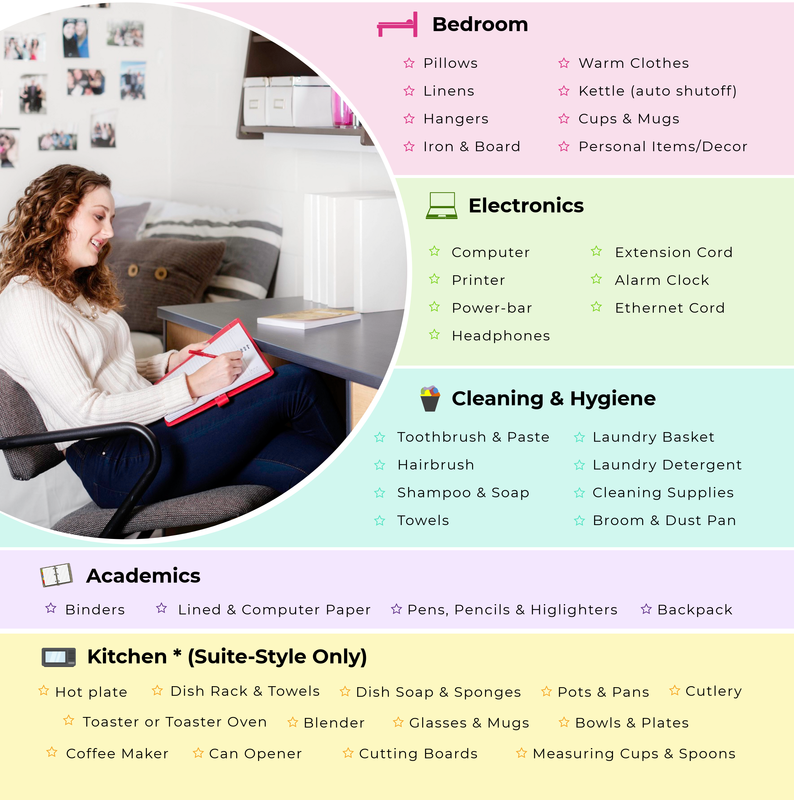 You probably have several questions about what your room will look like and who your roommates may be. 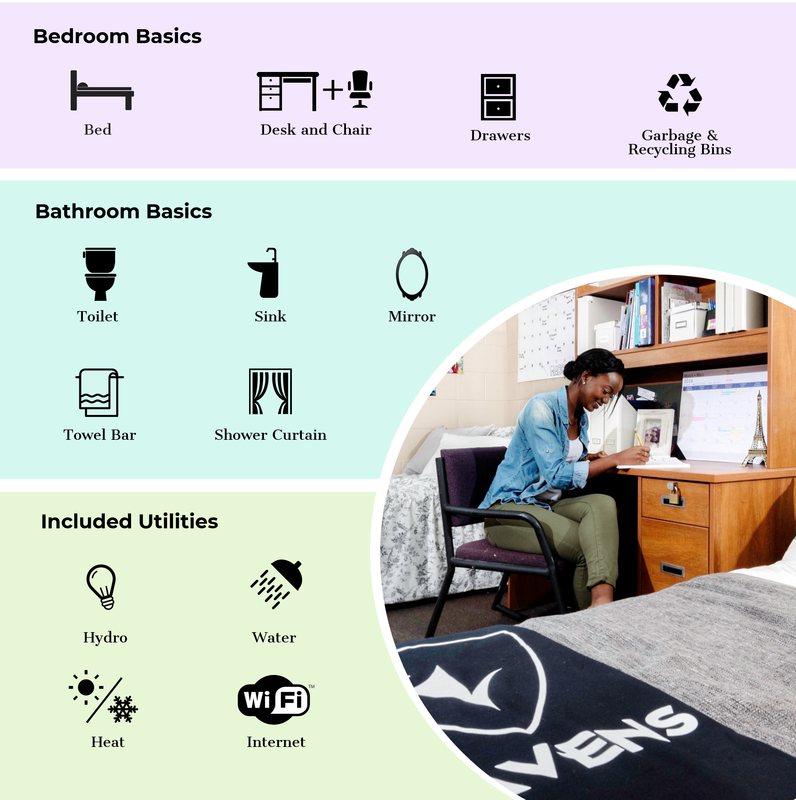 Residence provides students with a furnished room and several amenities so that you do not have to worry about bringing furniture from home. Regardless of which building you live in, you can expect the following items will be ready for your arrival! You can find additional information available on our Room Inventory Check-List .